My knowledge of Armenia was confined to the few pages of explanation in the Lonely Planet Guide. It never occurred to me, that this was the start of a 9 year journey which resulted in a momentous decision on the 21st November 2018 in my home City of Derby, in England. There were a few things that were important during that visit. I wanted to visit Tsitsernakaberd ( Armenian Genocide memorial/museum) – I was curious to find out about a part of history which was not taught in our schools. I knew little about the forgotten atrocities in Turkey, 94 years prior. In the Genocide museum, the pictures were harrowing, the stories disturbing, the context felt hidden. By the Genocide memorial, there is an array of plaques from people and countries remembering and commemorating the Armenian Genocide. I walked, patiently, and conscientiously, up and down the lines of rigid, respectful plates looking for the one from the UK – there was not one to be found. I later understood that the UK does not recognise the Armenian Genocide…my search was in vain. I looked for Mt Ararat in the distance… but it wasn’t there. On Armenia’s Independence Day I walked with soldiers, and veterans. I didn’t know where we were going – but we continued for miles. Eventually we got to the cemetery at Yerablur. A time to remember the fallen – I remembered vaguely about the war in Artsakh (Nagorno-Karabakh) in the early 1990s – it took second priority in the UK news to the war in Bosnia. There was one grave, covered in flowers, his portrait, carefully and accurately engraved into the headstone – I recalled his face but didn’t quite know why – it was Monte Melkonian, the Artsakh war hero. I looked for Mt Ararat – but it still wasn’t there. I didn’t have much time left during my visit. I saw Mt Ararat in every shop, on books, mugs, badges, everywhere – but not in reality. I kept walking and then, I remember, the first time it appeared – I burst into tears. 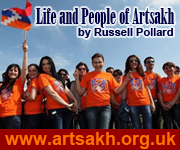 It rose majestically in the west – that symbol of the Armenian people, the history and the nation. Never to be touched. I was mesmerised. Why can’t Mt Ararat be touched….it’s in Turkey – why? Because of the Armenian Genocide….it is that “simple”. A daily reminder of unspeakable things that happened to the Armenians. I returned to England, and I felt that Armenia, for me, was “unfinished business” – I wanted to visit Artsakh, and so returned the following May. 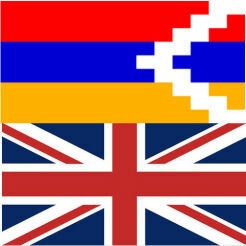 From that point, and during 15 further visits, I met many people in Armenia, in Artsakh, and Armenians in the UK . Some, who will be friends for ever, have allowed me to truly understand life in Armenia and Artsakh. But not as a tourist – something more humanitarian, and more purposeful. I started writing, I set up this website, I gave talks, I was awarded a medal by the Prime Minister of Artsakh, and I was declared persona non grata by Azerbaijan. I was looking for the right opportunity in the right way. 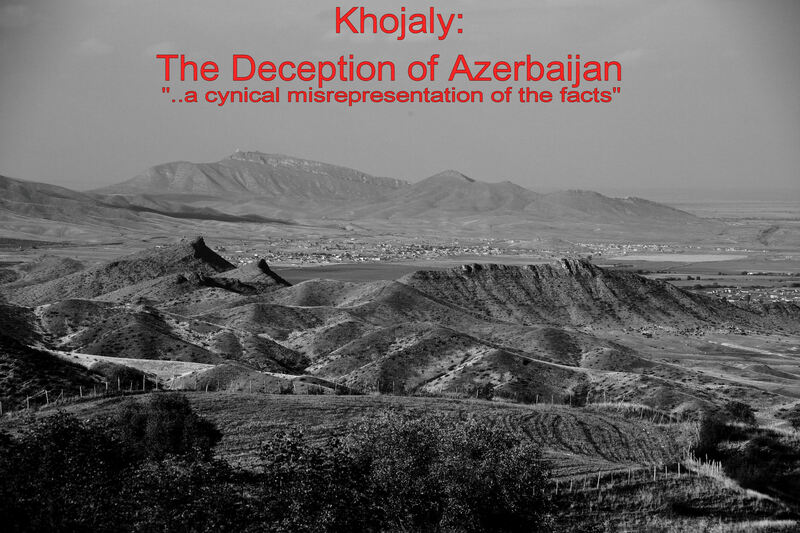 I wanted to tell non-Armenians – I wanted to spread the word about how the people of Artsakh were/are under continual threat and that this is a legacy of the Armenian Genocide of 1915….and the fact that it remains unrecognised is part of maintaining this genocidal opportunity for Azerbaijan – a close ally of Turkey. I live in Derby, a small city of 250,000 people in the centre of England. It has a very diverse population speaking nearly 200 different languages, a great history, and great people. There is no Armenian Community. In 2015 I joined a small committee of volunteers that commemorates Holocaust Memorial Day (HMD) which, nationally, traditionally focuses on Genocides from the Holocaust during the Second World War and after. I asked if I could speak about the Armenian Genocide ; I was warmly welcomed and I was given the opportunity to make a speech to an audience of over 200 Derby citizens as part of the main event. The Turkish Government had picked up our intentions and wrote to the Mayor of Derby, the day before, “encouraging” us to remove any references to “Genocide”. We politely informed them that we would not be changing anything. I have spoken every year since then, highlighting to more people about the Armenian Genocide, and the consequences to modern day Armenians in Artsakh. Derby City Council is the local government for Derby. It sits directly below the UK Government – it represents the people through 51 elected Councillors. They have the power to make formal resolutions on behalf of the people of the City. The HMD committee started discussions with the Council to support a Recognition motion earlier this year. Initially it fell on deaf ears – sometimes with these matters it is about timing – so we waited. A breakthrough was made just a few months ago, and I drafted a motion; it was confirmed that it would be tabled. On 21st November 2018, the Full Council unanimously agreed to adopt this motion thus making Derby the first City in England to formally recognise the Armenian Genocide. It is a proud day for this City that it did so, to make a stand on simple humanitarian grounds. Hopefully, in the future, the Armenian world will recognise Derby as a place that did the right thing; a City that held out a hand across the oceans to those people in Armenia, in Artsakh, and throughout the Diaspora…to say, we hear your pain, we see it, we feel it…and we are with you, and stand by you, and with you! Congratulations ..next thing you need is a khatchkar !! It never ceases to amaze me, how a citizen from the UK who has no connection to people thousands of miles away, can care enough to want to campaign for their local council to recognise something that happened over a 100 years ago. It says a great deal to me about the sense of conscience that sometimes appears in individuals in the UK that in my opinion is very rare in other parts of the world, and I find it truly humbling and inspiring. I happen to be of Armenian origin and am gobsmacked that someone who is not should care that much. Thank you for all your efforts, your campaigning and success. Thank you Russel, and thank you Derby City! A moving story. We all need the Russel Pollards spirit! Thank you for the humanitarian, peaceful and courageous dedication you took on behalf of the Armenians. As an Armenian born in Egypt and living in Cyprus, I am very touched and moved by what you have achieved In Derby; meaning the recognition of the Armenian Genocide. From the bottom of my heart, Thank you.